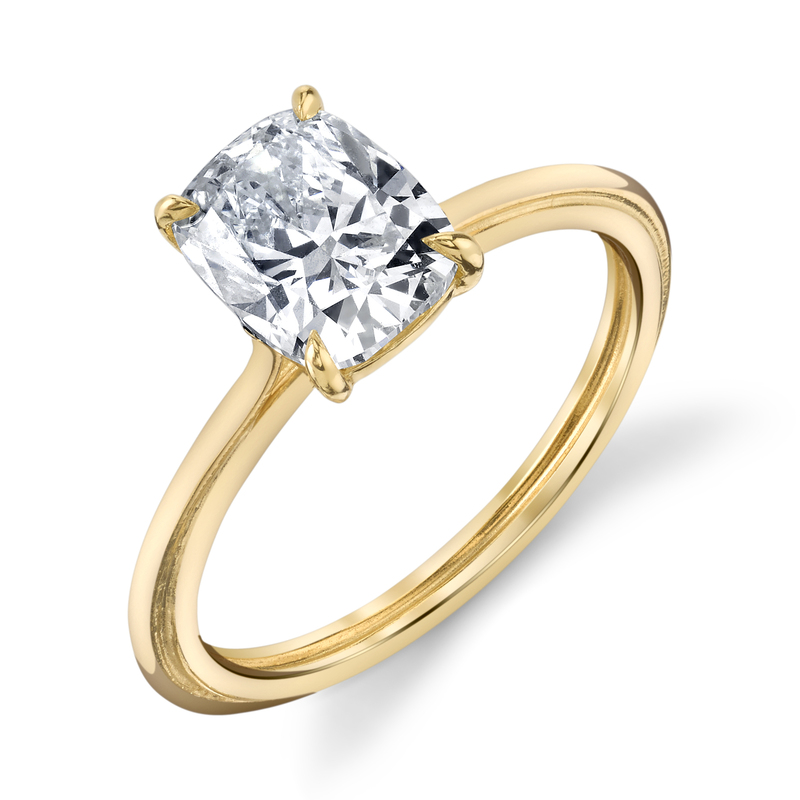 For the lady who wants a ring that is simple, yet not ordinary, we present our triple-wire setting. Our 18k yellow gold triple-wire ring currently has a round CZ in its center (cushion is pictured); please let us customize your ring with the stone of your choice! The current size of this ring is 6 1/4. Please contact our concierge to set with stone of your choice and resize. The first sizing is complimentary with purchase.